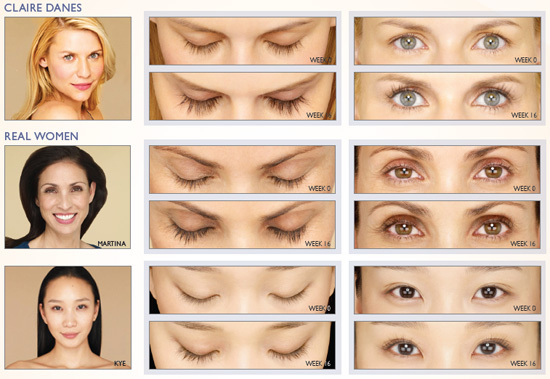 These pictures illustrate the real lash-growth benefit of LATISSE® — the first and only FDA-approved prescription treatment for inadequate or not enough lashes, growing them longer, fuller and darker. Users may star t to see longer lashes at week 4, with full growth by week 16. Ask your doctor if LATISSE® is right for you. By prescription only. Please see Important Safety Information below. Xing the Phase III LATISSE® clinical trial, 91% of women participating (n=134) were 35 or older2 and results show that LATISSE® more than doubled their lash fullness after 16 weeks of treatment. If you don’t have enough lashes, incorporating LATISSE® into your treatment regimen may help you grow longer, fuller and darker lashes.